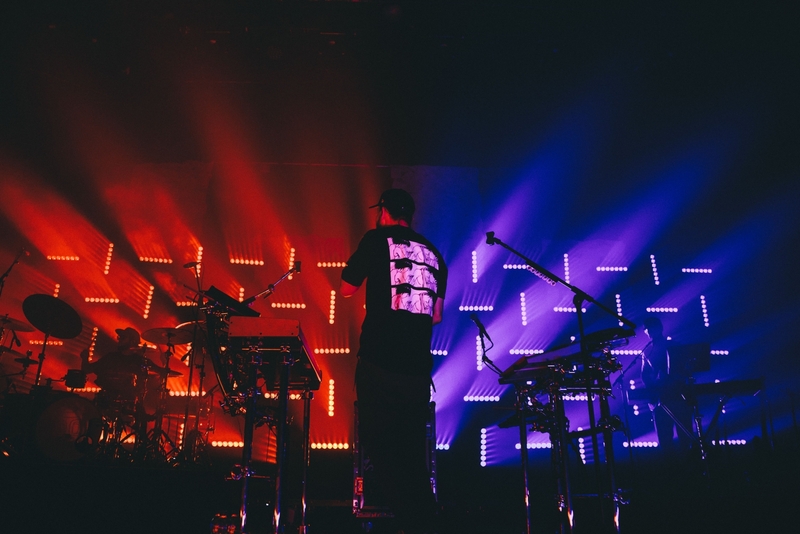 LD Céline Royer Lights Mike Shinoda’s Post Traumatic Tour with 4Wall Gear | Press Center | 4Wall Entertainment, Inc.
Nashville, TN- Linkin Park member and solo artist Mike Shinoda embarked on his first major North American solo tour in support of his newly-released solo record, Post Traumatic. 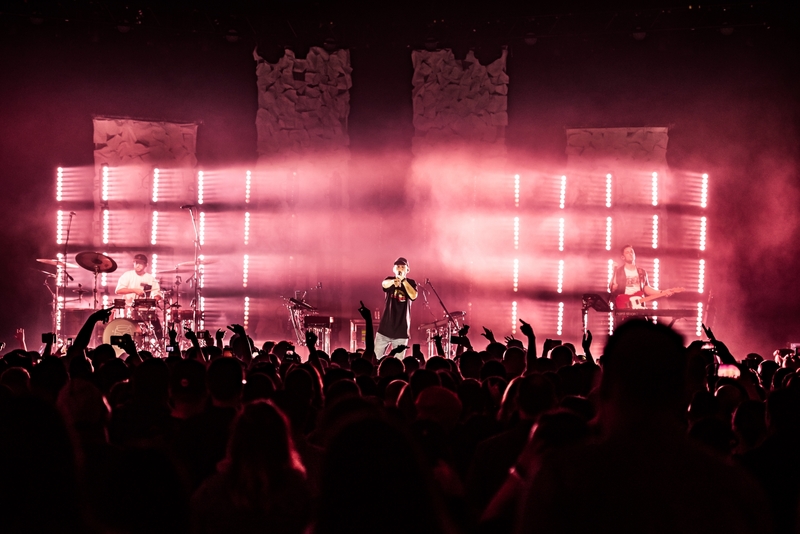 Lighting Designer Céline Royer, who is no stranger to Shinoda having been the lighting designer for Linkin Park's One More Light tour, was tasked with creating a versatile and impactful lighting design utilizing gear from 4Wall Entertainment. 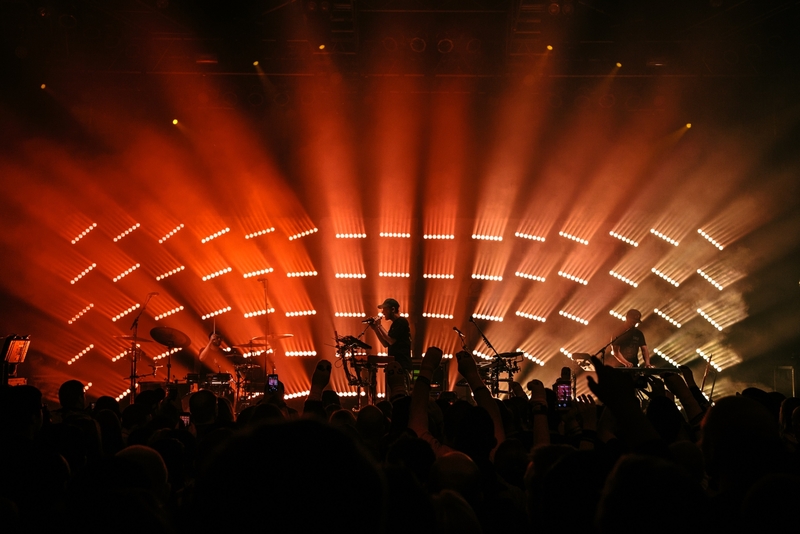 When Royer and her team initially discussed the lighting design for the tour, their goal was to create a rig that worked for music festivals during the day and headlining shows at night. "We decided a low rig directly behind Mike would look best and created a wall of light using 75 Ayrton MagicBlades that would be effective for both day and night scenarios," explained Royer. "We didn't want any video but instead a five by fifteen matrix of fixtures that looked like a video wall with low resolution." "I can honestly say I used the MagicBlades in every way imaginable," laughed Royer. "I rarely turn them all on at the same time and would create different shapes or outlines behind each musician. I'm really glad we had the MagicBlades on the rig because there were countless looks I was able to create." 4Wall also provided GLP JDC1s and Chroma-Q Color Force II LED battens. 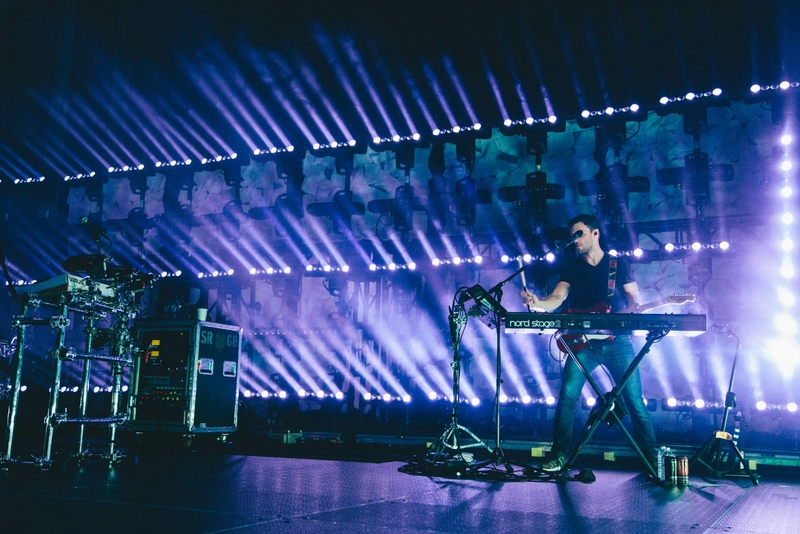 "I used the JDC1 fixtures mostly as side light to light the band," explained Royer. "We also had white fabric panels behind the wall of MagicBlades and I would use the JDC1s to create shadow patterns on the fabric." The Color Force IIs lived upstage to light the white fabric on both sides and downstage for uplight on the artist. "I tend to stay away from using downstage truss to light up the artist," explained Royer. "I prefer the dramatic look of uplighting and the Color Force IIs were perfect for that." The show's lighting cues are fired by timecode using an MA Lighting grandMA2 console. Royer had 8 days of pre-viz, using MA 3D, before hitting the road for the opening night. 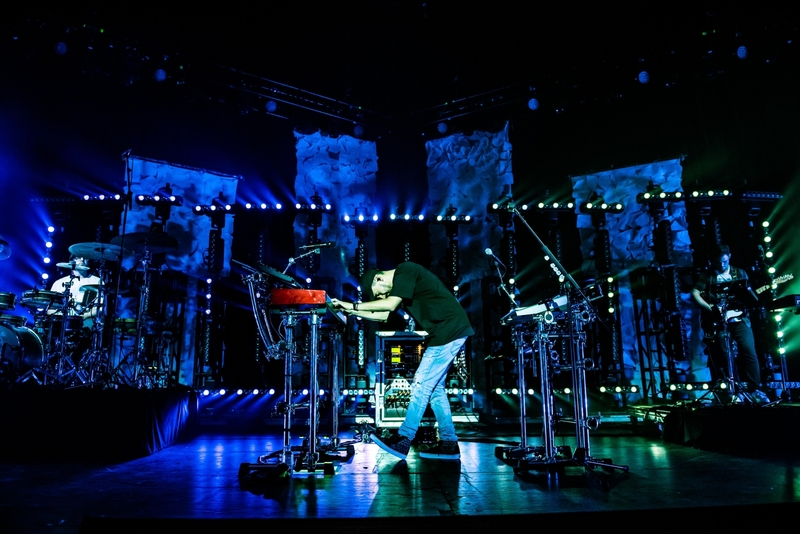 "We added a lot of songs during the tour that I timecoded on the road," said the LD. "I was also taking notes every night to reprogram cues and making some tweaks to make everything look even better." The US leg of the tour ended this month and a 2019 UK/European tour was announced this week. The LD spoke of the service 4Wall provided. "I was very happy with the service from 4Wall," said Royer. "Each last-minute requests from me during the tour were taken care of rapidly. My account rep Damon Herbert was very helpful."